Save Lives. Change the world. Your monthly support will save lives and enable CARE to create sustainable, long-term solutions for ending poverty for women and girls worldwide. Become a Partner for Change today. You’ll provide lifesaving aid whenever and wherever disaster strikes. You’ll sustain clean water projects, hunger-fighting agricultural practices and more. 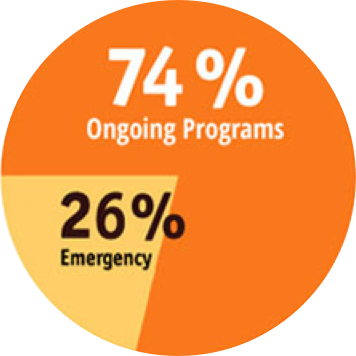 You’ll create long-term education opportunities to break cycles of poverty worldwide. Select a monthly donation amount — any amount that’s right for you will make a lifesaving difference for women, girls and communities in need. Easily make an impact every month. Your credit or debit account will be charged every month, making an enormous impact on suffering without any additional effort from you. Join a community of Partners. You’ll join other compassionate Partners for Change who are making a difference in the world every single day. We’ll send you a CARE decal and our latest World Report, plus monthly stories to let you know how your partnership is making a difference. 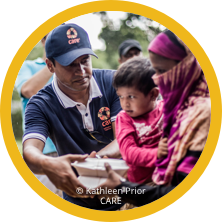 CARE works around the globe to save lives, defeat poverty and achieve social justice. We put women and girls in the center because we know that we cannot overcome poverty until all people have equal rights and opportunities. 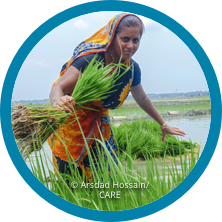 Your monthly donation supports CARE's poverty-fighting work around the globe. 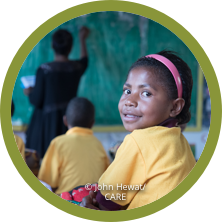 CARE delivers lasting change to some of the world's poorest communities. We place special focus on working alongside women because, equipped with the proper resources, women have the power to help whole families and entire communities escape poverty.